Many of us can relate to “hitting the wall” during our workouts. We can relate to waking up sore and stiff the next morning after a hard day of yard work or over exhorting ourselves. We also know how, when the stars align just right, a workout that we struggled to do before becomes easier. 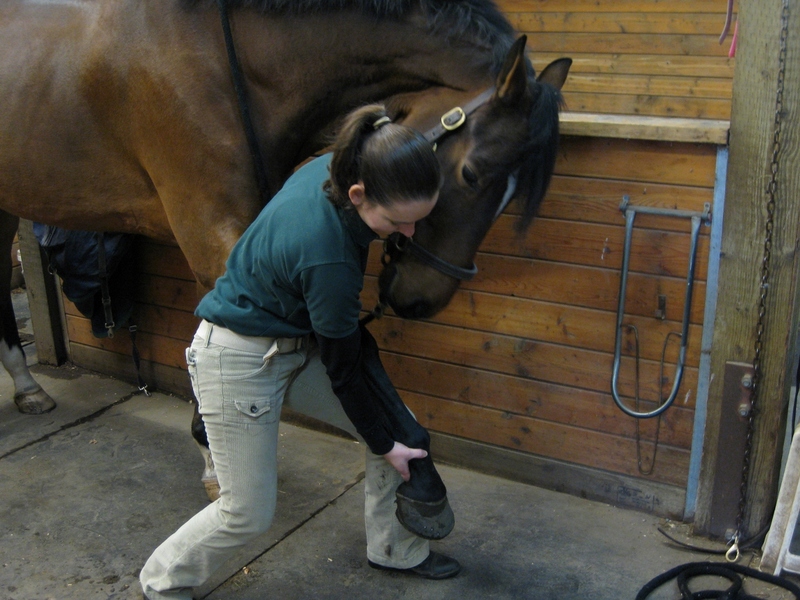 Massage helps to increase a horse’s endurance. It relaxes the muscles to relieve tension and stiffness and improve flexibility. It strengthens muscle and can improve the muscles memory of movement patterns. Travel and Shows can also bring on stress that massage can reduce. Having your performance animal massaged can help the stars to align and their workouts become easier and better. When a horse is injured, it often times needs to stay locked up so it can heal. This, in itself, creates other problems. Horses have not evolved to spend the majority of their days in stalls. When a horse walks, the pressure on their frogs help to push the blood back up their legs. Lack of movement also slows down the digestive tract and a rehab horse may have a reduced appetite. Massage can improve the circulation, improve the flow of lymphatic fluid, and stimulate the immune system. It assists in the movement of the digestive system and can improve a poor appetite. Massage can also provide relief from boredom and cabin fever-where many horses can re-injure themselves. It can assist with recovery from waking up from surgery. Massage can help restore the function of the injured areal as well as helping to form strong/flexible scars. You are extremely busy and only find time to ride on the weekends? Or, maybe you do not have an indoor and your riding depends on the whims of the Pacific Northwest weather? Or, your horse is fully retired? These horses can benefit from massage as well. Part time work can lead to stiffness and soreness in between workouts. We feel great, so we keep going. Then, the lack of movement after our hard workout can lead to the muscles and joint stiffening up. Severe cases could lead to rhabdomyolysis (better known as tying up, Monday morning disease, or azoturia), which massage can help as well. Massage helps to increase the circulation and bring in the fresh oxygenated blood to relieve the stiffness and soreness. 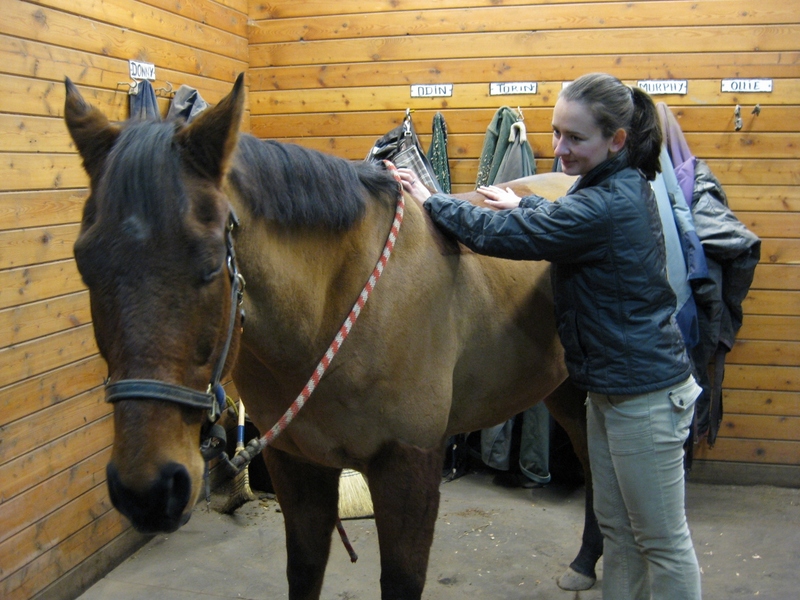 In both weekend and retired horses, massage can help to strengthen weak muscles. Many of our retired horses suffer from daily aches and pains. Massage helps relieve some causes of pain. Pressure stimulus overrides pain stimulus in the nervous system. This is why when we hurt our finger, we grab and squeeze it with the other hand. These horses are similar to rehab horses that do not have the benefit of frequent exercise. Again, massage can help improve digestion, relieve boredom, and improve circulation.